OME Lifted Tundra. Click for larger view. Photo courtesy of ARB. Another awesome OME lifted Tundra. 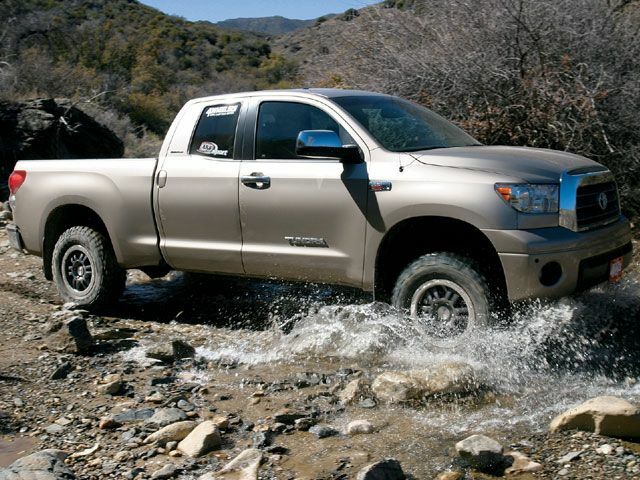 Toyota owners know that Old Man Emu is the only suspension worthy of their vehicles and any other suspension is a step down in ride quality and handling performance, this is true of any Toyota including the Tundra. OME lift kits are listed below and we have a great dela more information on the Old Man Emu suspension systems further down on this webpage. Please check out all the information to fully understand why Old Man Emu is the very best lift kit for Tundras, and why our prices and parts are not topped in the industry. Why Use an Old Man Emu Tundra Lift Kit? Some might ask why OME suspensions are not available in taller lifts? OME believes in quality and sensibility without complications. The lifts are sized such that there are no problems or modifications required to steering, braking, or drivetrain. Any taller and these items can become an issue. Rocky Road will always be committed to bringing you the best products and service. 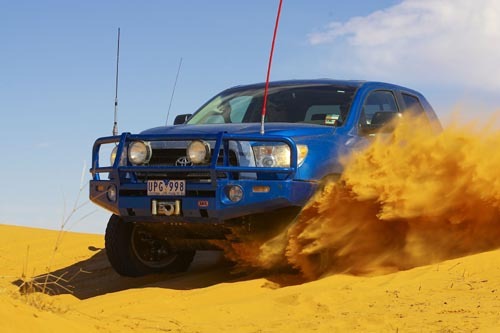 Find out why we are a leader in ARB sales throughout the world and for Old Man Emu on any vehicle. 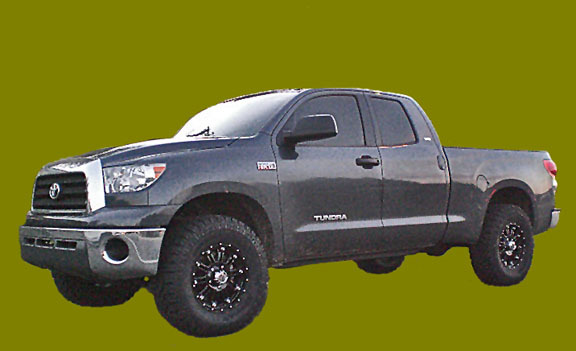 The Rocky Road OME - Tundra kits will generally provide 2.5-2.75" of lift for your Toyota. Please note: Shipping on the complete kits cannot be calculated correctly thru our website due to the extreme heavy weight of these springs, multiple packages required, and extra fees UPS adds for the odd-sized parts. The final billing for shipping will be different than what is displayed on the website. We recommend shipping to a business address to get lower shipping fees. Some kits qualify for our instant rebates program. Add the item to your shopping cart to view our unbeatable pricing on certain select items. For ship estimates on the ARB Bumpers, please consult the chart to the left. The ship amount shown on your shopping cart will be inaccurate for Bull Bar orders due to the complexity of Truck Freight orders. Use our handy map guide or feel free to call our store.